If you love someone, let it go. If it is meant for you, it will come back to you. 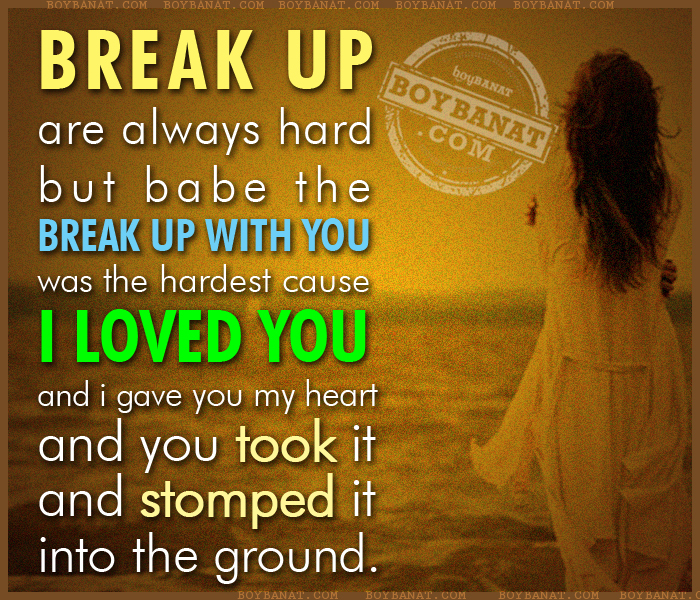 Check out this another installment of love quotes collection by Boy Banat which features the best, inspiring and latest Break Up Love Quotes. If you have your own favorite Break Up Love Quotes, we would love to hear it, simply add a comment below or just email it to us with a subject: breakup love, and will posted up for you. Hope you'll like it! you’ll never get throughit without your friends. You are the best person in my life..
because….you just came to destroyed my life..
thanks for that..i really appreciated it..
found someone better then you could EVER be... Is that right ? My tears are just words my heart won’t tell my head to say. One day you're going to realize what you're missing out on, when that day comes its gonna be to late. I'll be in someone Else's arms, and I wont look back. I will always love you, but i think it is time to move on. Baby, I think we should take a little time away from each other and move on. even if u dont care about me..
at least i still know that ur fine. dumped because of someone else! 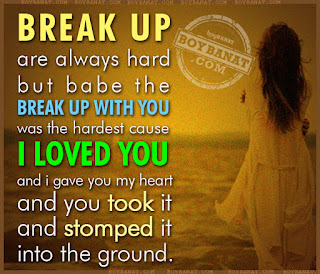 Break up are always hard but babe the break up with you was the hardest cause i loved you and i gave you my heart and you took it and stomped it into the ground.